Let’s not limit the #GoogleMemo debate and tech diversity issue simply to gender. While Google engineer James Damore ignited a firestorm around the already simmering gender diversity in tech issue, gender isn’t the only area where tech companies are lacking accountability. The tech industry has a lot to answer for in terms of racial, ethnic, age as well as gender diversity. Yet, it’s pace to address those issues has been almost glacial. This issue first burst into public consciousness around 2014, with the public release of diversity data (i.e., racial, ethnic and gender breakdowns of tech workers—note age data was not included.) For an industry so ubiquitous in contemporary society, the results were both shocking and shameful. Those results looked something like this, as we reported in a previous post. In the same year, a Tech Times story described Apple’s workforce as composed of 70 percent men, 30 percent women. It also described the ethnic make-up as 55 percent White, 15 percent Asian, 11 percent Hispanic, 7 percent Black, 2 percent Mixed Race, and 9 percent undeclared. *These figures were said to include employees of their retail stores. Back then, we noted that Fortune magazine offered the most extensive review of tech companies and diversity. Since then, both the EEOC and the Congressional Black Caucus, as well as Rev. Jesse Jackson, have drawn attention to and prompted some action on this issue. Yet, except for some high profile hirings at companies such as Facebook, Google, Twitter, Intel, etc., the overall diversity profile of major tech companies remains largely unchanged. Yes, the leaders of these companies—sensitive to optics and wary of regulation—have taken some steps aimed at diversity. These include sponsoring tech boot camps, hosting gender and diversity meetings, and even developing some campus partnerships with universities serving largely underrepresented groups, especially African-American and Latino students. (Not to mention the high-profile hirings mentioned above). Yet, very little has happened operationally in these companies—except apparently to make even the discussion of diversity more contentious among insiders. The truth is due to the size and impact of tech companies on American and global cultures, diversity in tech is effectively the civil rights issue of our era. African-American, Latinos, and non-native tech adults (read, older) cannot afford to relent on this issue. It has been shown time and again that diversity in tech isn’t simply a “pipeline” issue that will be resolved with more STEM classes for young people, more boot camps, or more diversity meetings—all of which are overall helpful. 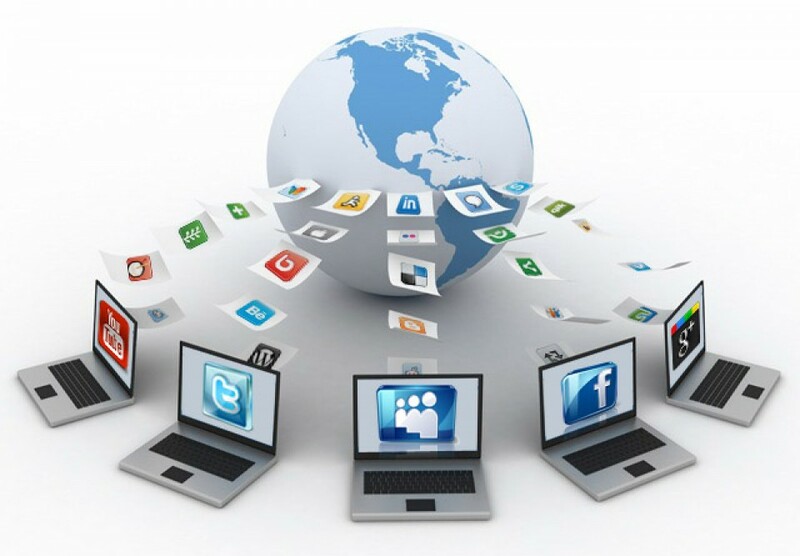 What will move the needle and change the daily picture in these companies is more diverse hiring—including African-Americans, Latinos, Baby Boomers, etc.—individuals already educated, trained and with valuable work experience in the fields needed throughout the tech sector—in both tech and non-tech positions. Only then can we expect to see the kind of dynamic culture shift that a diverse world demands and that an industry that prides itself on “disruption” should wholeheartedly embrace. P.S. Over the past few years, we’ve written a lot on diversity in technology and public relations. Please be sure to check out our earlier posts. But this is only one aspect in which public relations is generating news: Many people are excited about the rosy labor forecasts projected for the profession during the next few years. The US Labor Department expects “employment of public relations specialists to grow 24 percent from 2008 to 2018–much faster than the average for all occupations.” That is, presumably, good news indeed. So why is all this buzz important? Well, one consequence, for certain, is that more people are caring about the practice of public relations. And how does this help clarify what’s good PR practice, and what’s not? While we would certainly be hesitant to pre-empt PRSA’s studied process for redefining the profession, a look at recent headlines regarding some companies and their public relations crystallized a few thoughts about what PR is, about what works, and what doesn’t. For example, within the past few weeks, two iconic brands—Google and Apple—have been uncharacteristically broadsided by bad PR: Google, on privacy issues for its data-gathering processes on Safari browsers and Apple for the working conditions at some of its overseas manufacturers and suppliers. While neither company can be happy about such publicity, it’s worth noting that for each company, thus far, the fallout has been minimal. (See final note below) Which got us to thinking—why are some companies brought to their knees over news that’s a lot less damaging than these two companies faced, while other companies are able to withstand major hits and continue virtually unscathed? Public perception of the companies beforehand accounts for a lot; and what plays a major role in shaping those perceptions—good public relations. Another way that we view good public relations is “stockpiling goodwill.” Companies do this everyday by paying attention to the details of business operations and marketing; correcting errors—proactively, as often as possible; and adopting a consumer-sensitive, if not consumer-friendly outlook. In short, they do the right thing most of the time, they do it willingly, and they’re good a creating feedback mechanisms to understand what their publics want, or at least what they’ll tolerate. (Panera offers the most recent example of this kind of corporate citizenship). So when issues flare up, their credibility helps buffer them from a major public debacle. So that’s our working definition of public relations: conducting business everyday so that you stockpile goodwill. In the meantime, we’ll continue reading the headlines and looking forward to the PRSA’s consensus definition of the public relations profession. 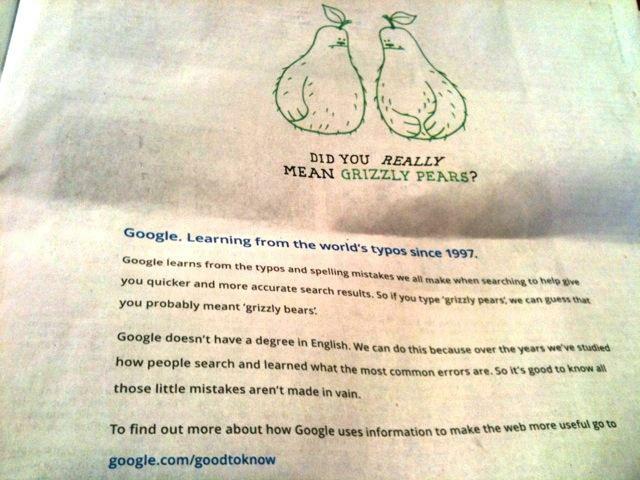 Google's print ad campaign to offset negative publicity regarding the privacy of its searches.